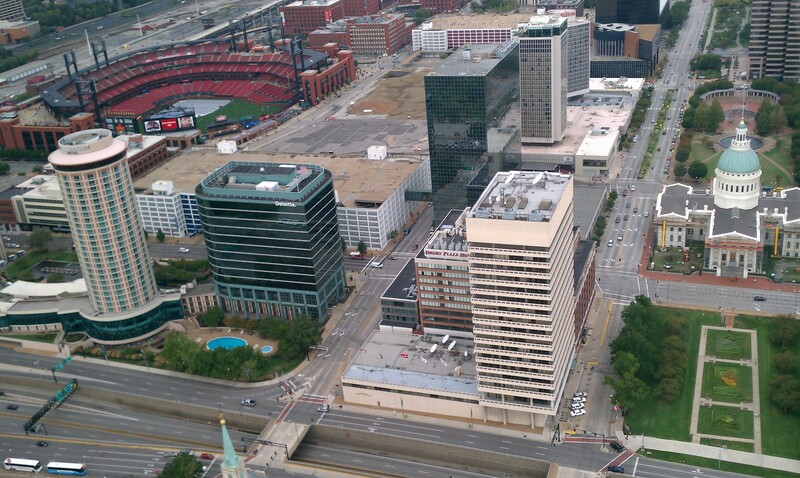 This weekend when our family traveled to Saint Louis, we saw many skyscraper buildings. And when we stayed at the Crowne Hotel by the Arch, our room was located on the 23rd floor, almost the top of the building! The view of the city of Saint Louis, so alive at night, and of the Mississippi River was incredible from our hotel room balcony. Today I heard a song that my friend Amanda Taylor posted on Facebook, “Skyscraper.” I LOVE this song! I believe it is a song that is anointed by God. It is encouraging and empowering! For those of you who don’t know, I was sexually and physically abused as a child, and my daughter and I were battered in my second marriage. I’ve been hurt by people all my life. Sometimes the ones who hurt me the most were Christians, leaders in the church, friends – and even those closest to me! Since I was a little girl, I’ve had people all my life trying to break and crush me, making me feel as if I was nothing. Unloved. Unwanted. Unworthy of anything good. At times I felt as if I was made of glass or paper, as Demi Lovato sings in this fierce song. The abuse shattered me. But God has done an incredible amount of healing in my life. Then as only God can do, He turned the situation around 180 and He began using me to minister to people who had been hurt like I’d been hurt, to heal them. Because that is the kind of God He is! God is amazing! As Jarrid Wilson shared on Facebook today, God uses broken people to bring hope to a broken world. I am Jesus’ living proof! Through Christ, I will be rising from the ground! I overcome everything through His power and His Spirit in me! I’m going to share more of my story and talk about how you can still fulfill your great purpose and destiny, no matter what painful things have happened in your life, in my upcoming, fall Unveiled: G.I.F.T.S. Process class. To learn more and to save your spot today, just click here. Sometimes it will seem as if people enjoy seeing you bleed and hurt. Don’t let them win. You are more than a conqueror through Jesus Christ. He is your victor. The battle belongs to the Lord. Like a skyscraper, you will be rising from the ground! Let me know what you think of this song. Again, I LOVE it! Thanks, Amanda!